​Don't take our word for it. Here's what past guests have had to say about their stay in Meg's Place, Ashburton. *Stayed February 2019 - Accommodation - Green Gecko House, Ashburton. "This was perfect for us. We were passing though and the property was perfect for what me needed." *Stayed January 2019 - Accommodation - Green Gecko House, Ashburton. "Everything is brilliant! 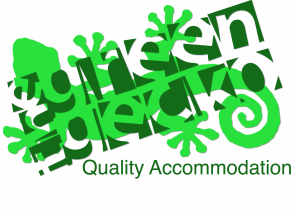 Clean, comfortable and quiet We would highly recommend green gecko and use again." ​*Stayed April 2016 - Accommodation - The Green Gecko House, Ashburton.